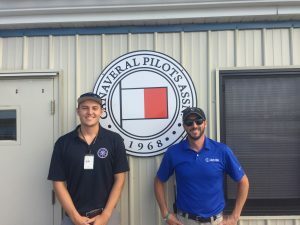 Massachusetts Maritime Academy cadet Donovan Hayes completed an internship with the Canaveral Pilots Association this Summer. He is headed back to the Academy to begin the Fall semester of his Senior year. 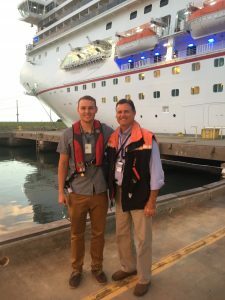 During the internship he learned about piloting, pilot business operations, port operations, and the process involved in testing and training to become a pilot in Florida. 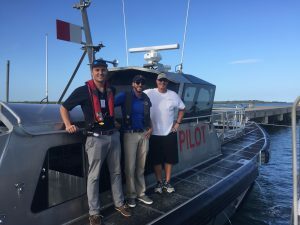 Hayes accompanied pilots on vessels calling at Port Canaveral and was able to observe channel transits and docking and undocking maneuvers. 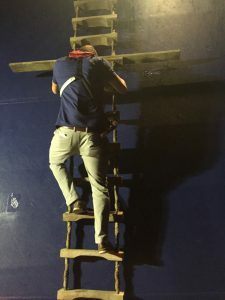 He experienced a wide variety of vessel types including dry bulk ships, car carriers, container ships, cruise ships, general cargo ships, special mission ships, and tankers. 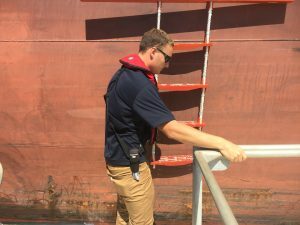 He also participated in pilot boat man overboard and safety training. 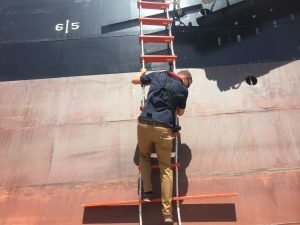 Good job and Good Luck for your Senior year and future maritime career!